STINAPA is taken aback with the Island Council’s decision to implement the cutbacks on numerous social subsidies on Bonaire. A direct consequence of this for STINAPA is a reduction in the activities for nature and environmental education (NME). On Bonaire, STINAPA has been involved in nature and environmental education (NME) for years at schools and for the greater public. Nature and environmental education gives the younger generations insight into the important role of nature on Bonaire and what we can do to protect nature, the economic motor of Bonaire. Through STINAPA’s nature programs more than 1900 children and young people are reached every year. The program of the STINAPA Junior Rangers is a great example for the Caribbean in how young people can be involved in nature- and environmental conservation. 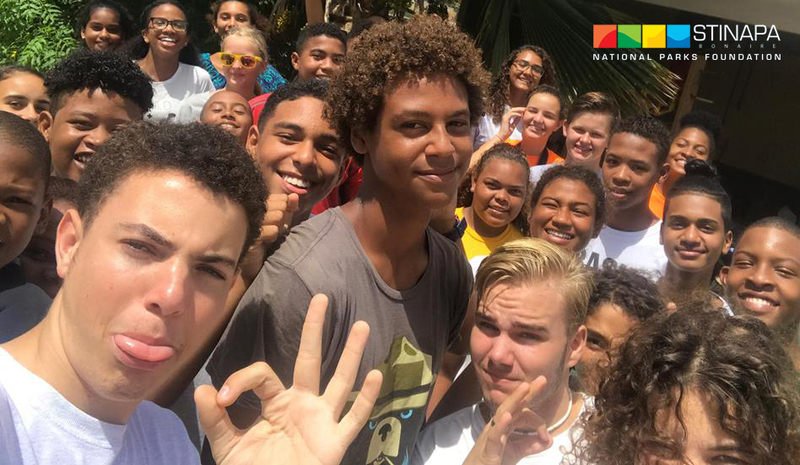 These teens have two activities per week; in addition to knowledge about Bonaire’s nature and environment, they learn about leadership skills. This creates young people with competence for their future careers. On an island where nature is the main attraction for tourism, it is important that the inhabitants of all ages of Bonaire are well informed about the economic driver of their island. With this knowledge our future generations will contribute to the economic development and sustainable protection of nature on Bonaire. Now that the cutback will be implemented, STINAPA must examine how certain educational activities will have to be reconsidered. Subsequently, STINAPA will search for different resources in order to continue this important part in the development of our youth.